In the area of culture and leadership GLOBE project have generated important research findings. 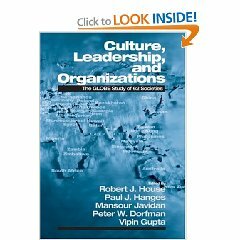 House et al (2004) published Culture, Leadership, and Organizations; The GLOBE Study of 62 Societies. Across 62 countries, the GLOBE project investigates how cultural values are related to organizational practices, conceptions of leadership, the economic competitiveness of societies, and the human condition of its members. One hundred and seventy co-country investigators and over 17,000 managers participated worldwide. Data were collected in each country from three indigenous companies representing the financial services, food processing, and telecommunications. They used qualitative methods to assist their development of quantitative instruments. 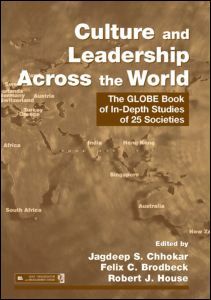 Culture and Leadership Across the World: The GLOBE Book of In-Depth Studies of 25 Societies is the second major publication of GLOBE in 2007. GLOBE researchers identified the nine units of measurement or nine cultural dimensions. The Figure 1 list them by name. Figure 1. The Nine Units of Measurement or "Cultural Dimensions"